Spend a day chilling at Teapoy Mutiny in Hennur - an open-air container cafe with cute and functional decor, a global menu and free Wi-Fi. Hennur folks! If you're passing by Horamavu Agara Main Road, and see a brightly painted yellow cafe called Teapoy Mutiny, don't think twice, just walk in. 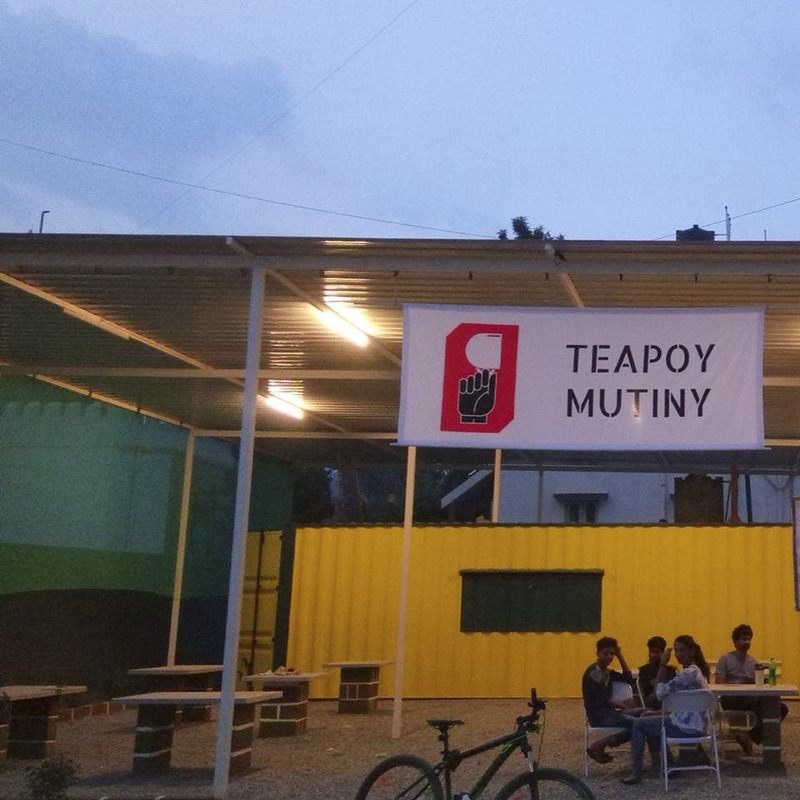 Started by Rutwik Ajit Khasnis and Thejas Sundar in 2017, Teapoy Mutiny is an open-air container cafe - that is, it's made entirely out of shipping containers and features plenty of art. So much to Instagram, y'all! At first glance the menu seems to have all the typical cafe fare, but the ingredients here that make everything different. All of their vegetables (including lettuce and herbs) are sourced from their in-house hydroponic farm, so you'll be putting your health first and supporting sustainability when you eat from here. They have a live kitchen, so you can see your food getting prepared in front of you while you try not to drool on the table. We loved their brekkie options - be it the Lebanese breakfast (creamy hummus with crispy falafel topped with olive oil and served with crunchy pita bread) or the Chuleta De Cordero (lamb chops with mashed potatoes topped with seasonal vegetables). Priced at INR 155 and INR 325, they're sure to fill you up for the day. Beware though, it gets pretty crowded in the mornings , so on weekends, make sure to set an alarm and show up early. If you're going out later in the day, you can choose from options like salads, pasta and burgers (the Pulled BBQ Burger looks tempting). Whether you're going there to eat or chill (they have a small book collection and free Wi-Fi! ), it's totally worth a visit. They keep having events like live music performances and bike ride events, so keep an eye out on their social media handles to stay updated.